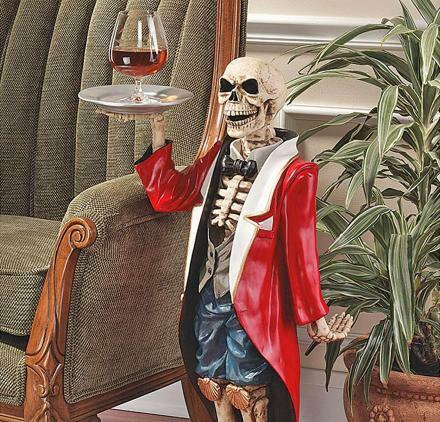 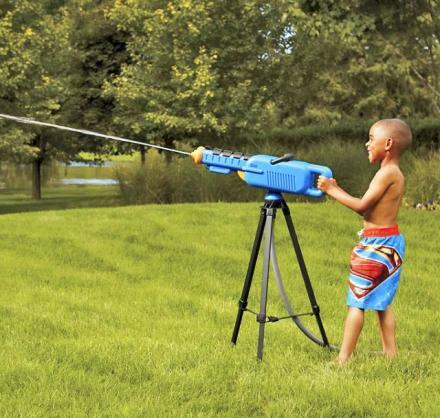 Those damn kids, why can't they just stay off your lawn? 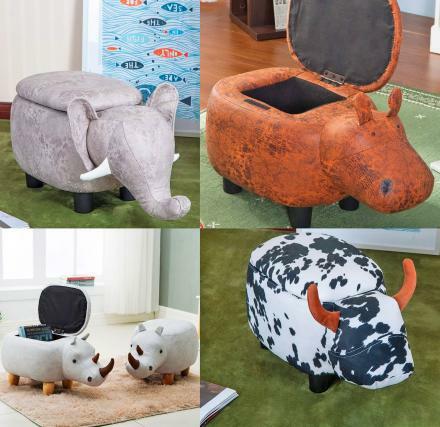 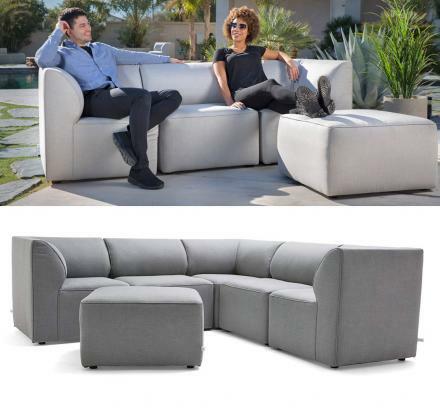 Try scaring them away using the hippo lawn sculpture. 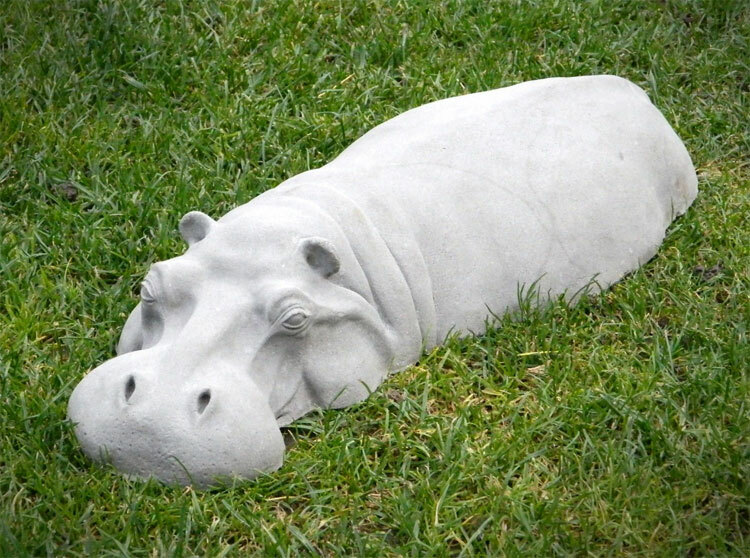 Just place it in your lawn and the next time some stupid ugly child comes wandering through your well-kept lawn, hopefully the hippo will scare them badly enough to not come back on your lawn again, or at least scar them for life, eventually developing some sort of mental disorder and needing to visit a psychiatrist once a week. 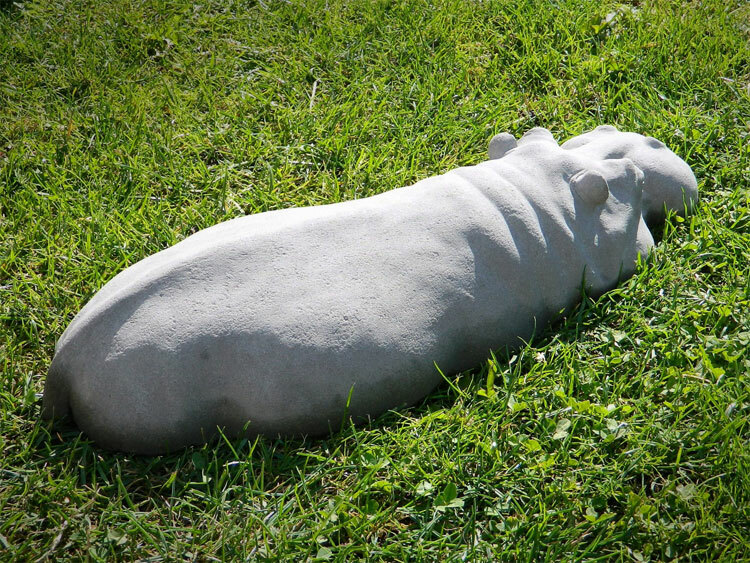 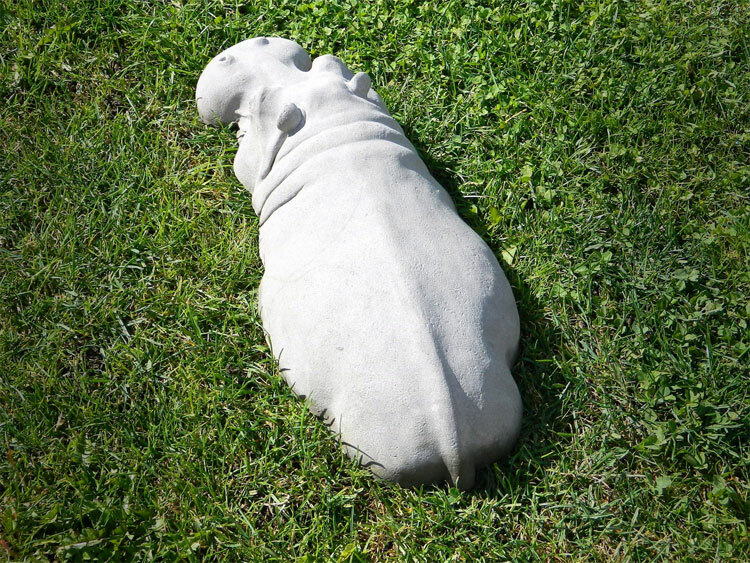 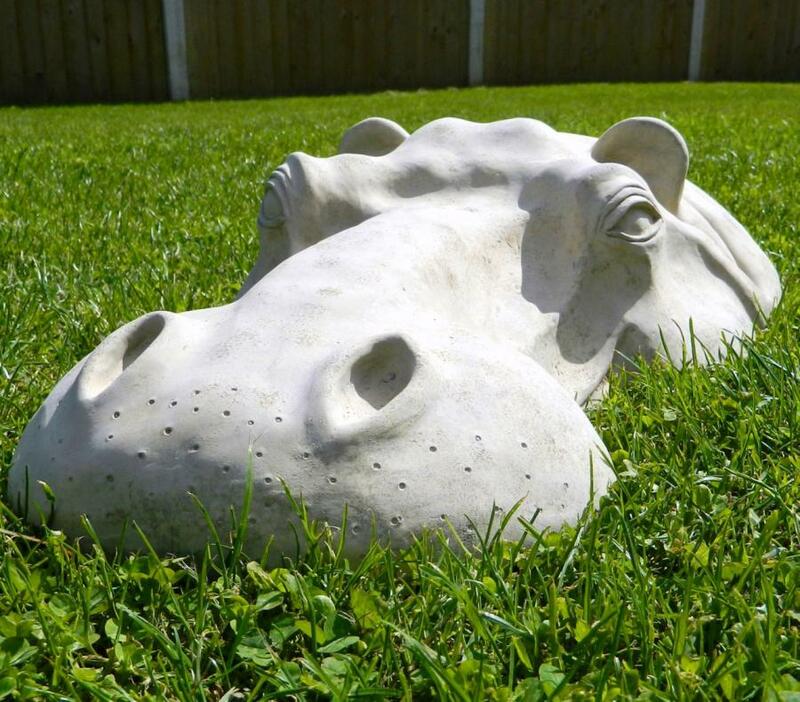 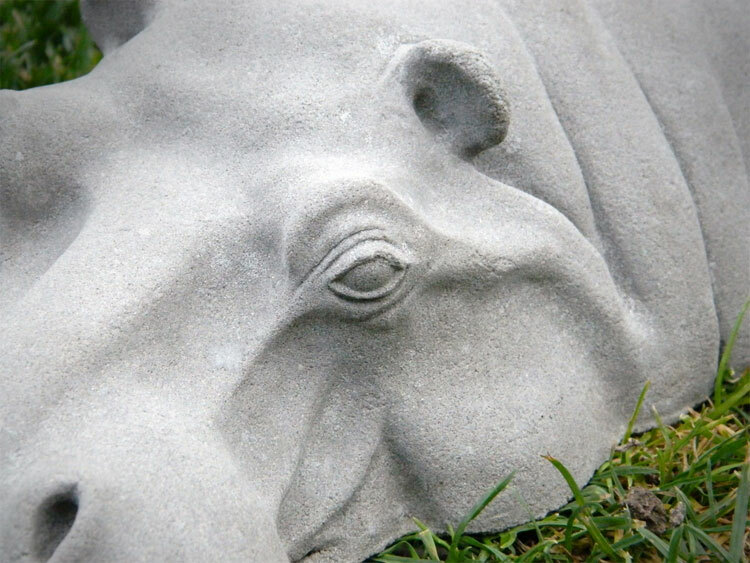 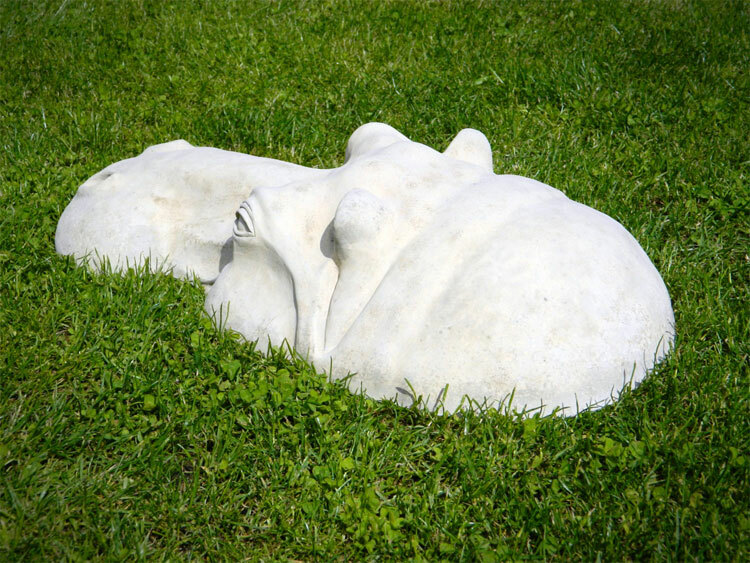 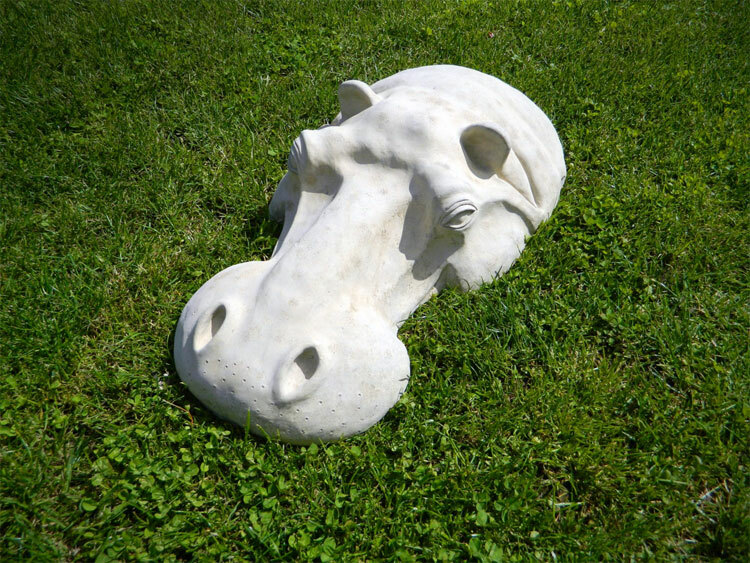 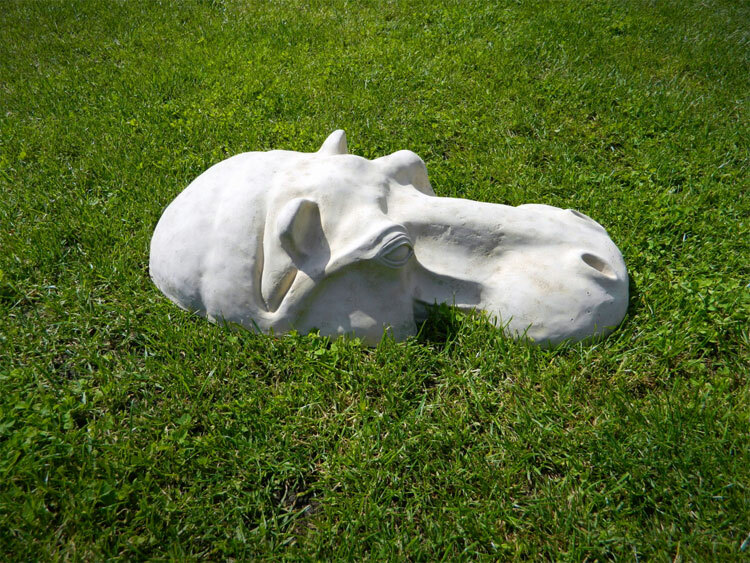 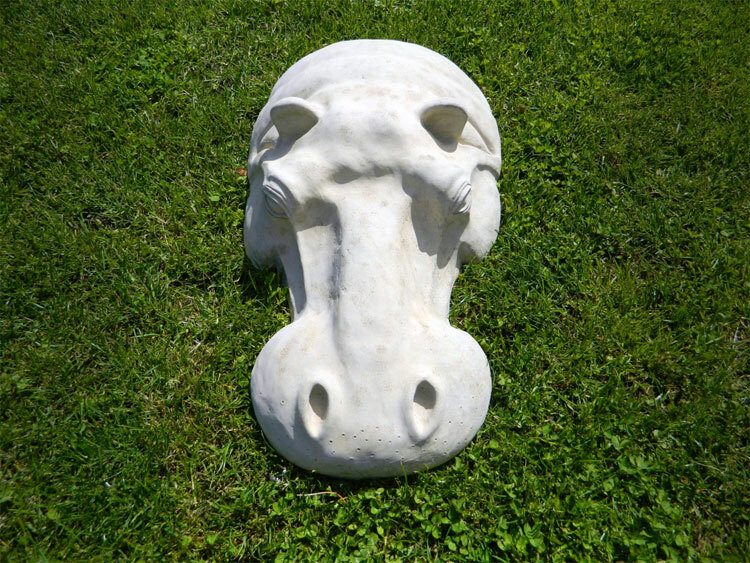 The Hippopotamus lawn ornament is handmade from concrete and cement, and comes in two variations, one of which is just the head of the hippo as it looks like it is peeking above some murky water, and the other is the full body of the hippo as it gracefully drifts towards you, attempting to chew your face off. 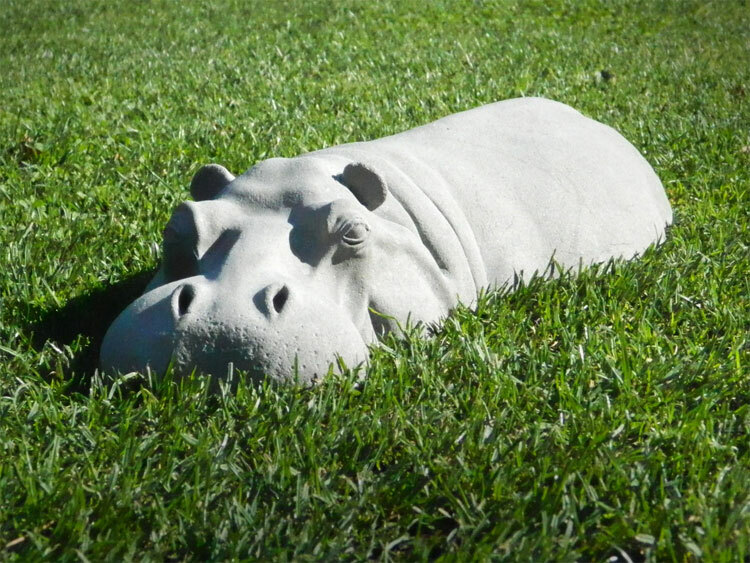 The hippo head lawn ornament measures 22 inches x 12 inches x 5 inches, and the full hippo body lawn ornament measures 17 inches x 7 inches x 3 inches.